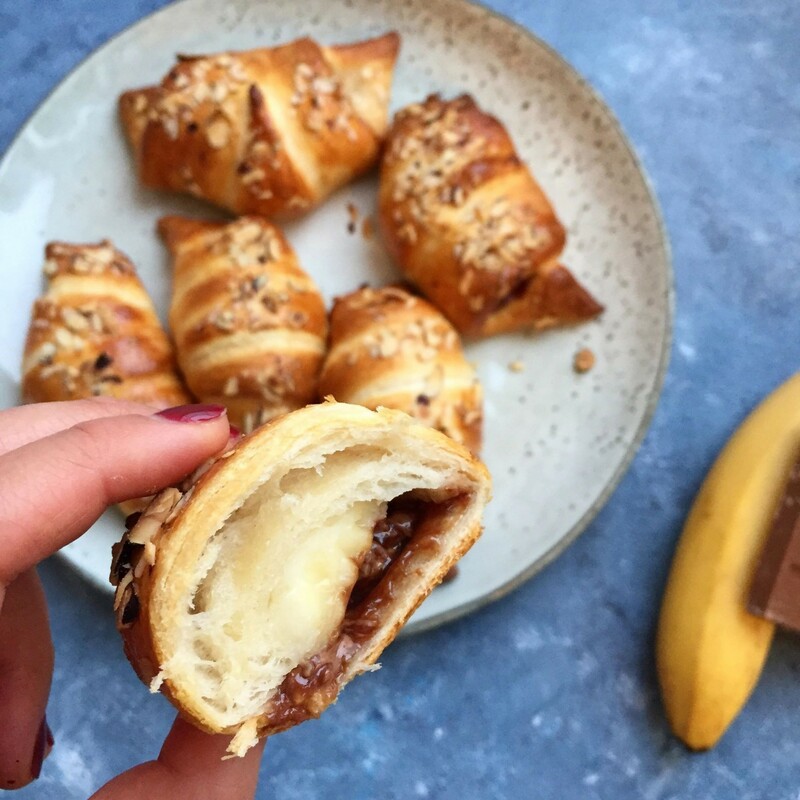 Add the best of both worlds and enjoy these delicious Chocolate Banana Croissants. The most delicious treat you can imagine. Start by popping out the dough from the can. Cut the cutting lines to create 6 triangles. Place a piece of banana and chocolate into each croissant. Roll the croissant up and make sure the filling stays inside. Place the croissants on some baking paper and gloss with some whisked egg. Top with some chopped hazelnuts or almonds. Bake the croissants in the oven for 12-15min. Take them out of the oven and let them cool slightly before serving such that the chocolate can become a bit more solid. Enjoy!